The recently funded startup Jelly from Twitter co-founder Biz Stone has announced a new hire in ex-Apple engineer Brian Kadar. The hire was announced on the company’s blog today, where the announcement post gives a bit of background. Born and raised in Queens, NY, Brian has a BFA in Visual Communications which he decided to use as a backdrop for pursing web development. Before Apple, Brian built experiences for brands at a boutique advertising agency in NYC. Ben and Austin were lucky enough to be introduced to Brian through a mutual friend. Before I’d even had a chance to meet him, Brian started building some amazing mobile web experiences based on the basic concept of Jelly. 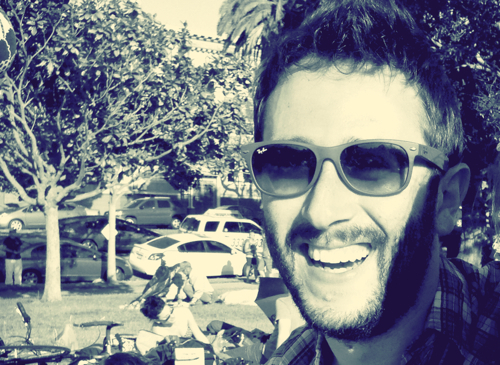 Kadar worked at Apple on Web frameworks and as an iOS engineer. Before Apple, Kadar served as a VP at Pushkart and senior developer at Freedom + Partners. Jelly is still very much under wraps, but has already made some high-profile hires like ex-Push Pop Press and Sofa alum Austin Sarner and Twitter alum Kevin Thau as its COO. Ben Finkel is also involved at Jelly as Christopher “Biz” Stone’s fellow co-founder and Chief Technology Officer. The still-stealthy startup closed a Series A round led by Spark Capital in May, which included investments from SV Angel and other notable individuals like musician and activist Bono, former US Vice President Al Gore, Emmy-winning director Greg Yaitanes, Evan Williams and Jack Dorsey. Bijan Sabet joined as the company’s board of directors at the time. What, exactly, that means is still yet to be revealed, but they’re certainly building up an interesting team.